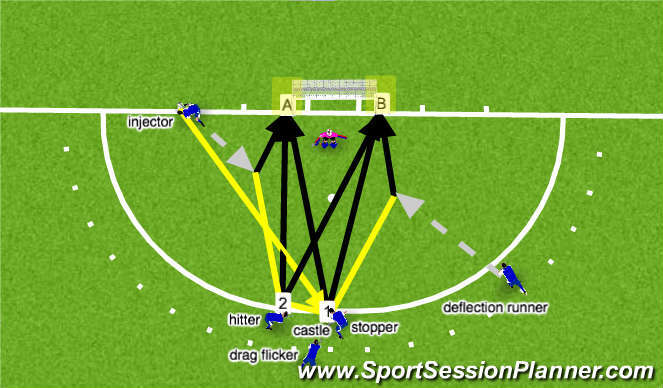 The injector starts the set piece by playing the ball to the castle. The Castle is made up of three players; a stopper and two other players to make use of channel 1 and 2. Depending on the skill sets your players have these can both be hitters, drag flickers or a combination of the two. Areas A and B, left and right of the keeper are the main scoring areas which should be threatend through any number of the above variations from channel 1 or 2.